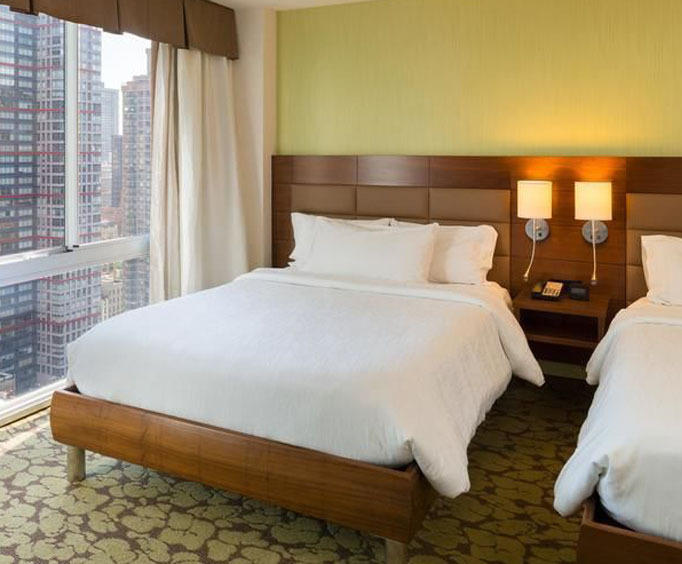 The Hilton Garden Inn, 206 East 52nd Street in Manhattan, at the corner of Third Avenue, is conveniently located just a quarter of a mile (or four New York avenues away) from world-famous Fifth Avenue, home to St&period; Patrick’s Cathedral and shopping venues such as Saks -– all within walking distance. The Hilton Garden Inn features complimentary Wi-Fi, open-all-day fitness and business centers, an on-site restaurant, concierge services, a ticket office for theater and sporting events and access to sightseeing tour options, such as double-decker bus tours, harbor cruises and helicopter tours. Get exclusive tickets to some of Broadway’s hottest plays and musicals through the Hilton’s concierge service. Take advantage of the shuttle, private car or limousine services available to all area airports. Or, enjoy a scenic cruise around Manhattan Island and take in the magnificent New York skyline. Deluxe king and queen rooms, some with a city view, are available at the hotel. 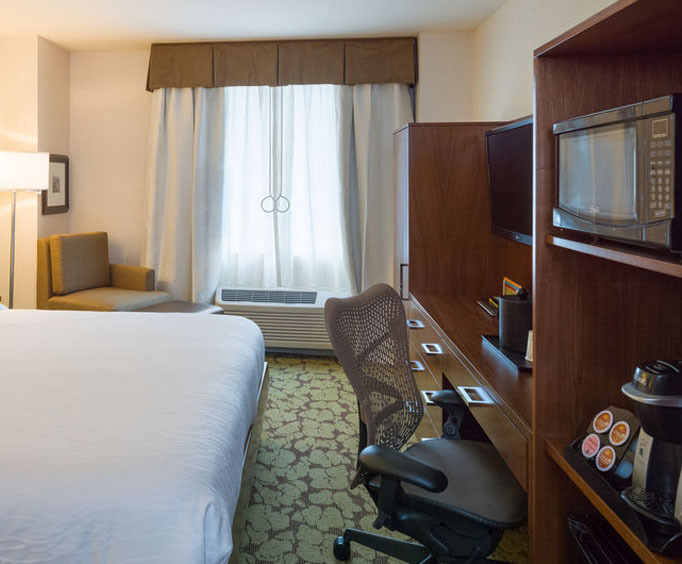 Room amenities include free Wi-Fi, LCD TV, two phones with voice mail, hair dryer, iron and ironing board, granite counters, MP3 clock radio, refrigerator, microwave, 250-thread count sheets, Kuerig coffee/tea maker, Neutrogena bath products and work desk with ergonomic chair. 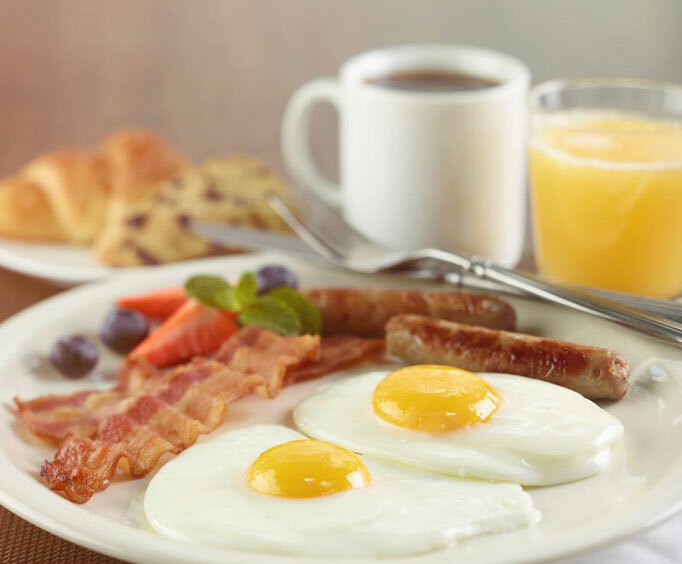 The Hilton Garden Inn affords the New York City visitor the experience of a lifetime -– lush accommodations three-quarters of a mile away from Rockefeller Center in the heart of New York City.